Moving day is fast approaching for students all over the country, and I'm still digging through the archives to find the best easy, low cost recipes to help them on their way. Today's recipe is number five in the series and is vegetarian. I didn't think it would be possible to improve on the simplicity of the last recipe, but, believe it or not, this one contains just two ingredients. That's right, two, but it's such a big cheat, it looks like it took lots of effort and is also pretty nutritious. If you are not vegetarian, you can serve these as part of a ham or chicken salad, but they make a pretty yummy lunch as well. 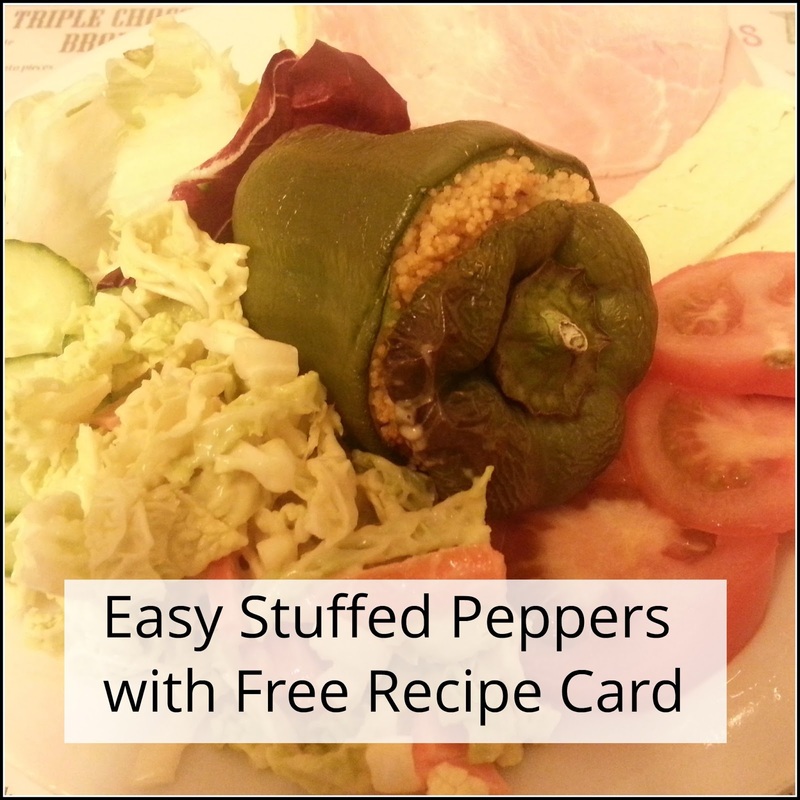 I do like a stuffed pepper, how simple is this recipe. Perfect for students, you do worry as a parent what they are eating while they are away. 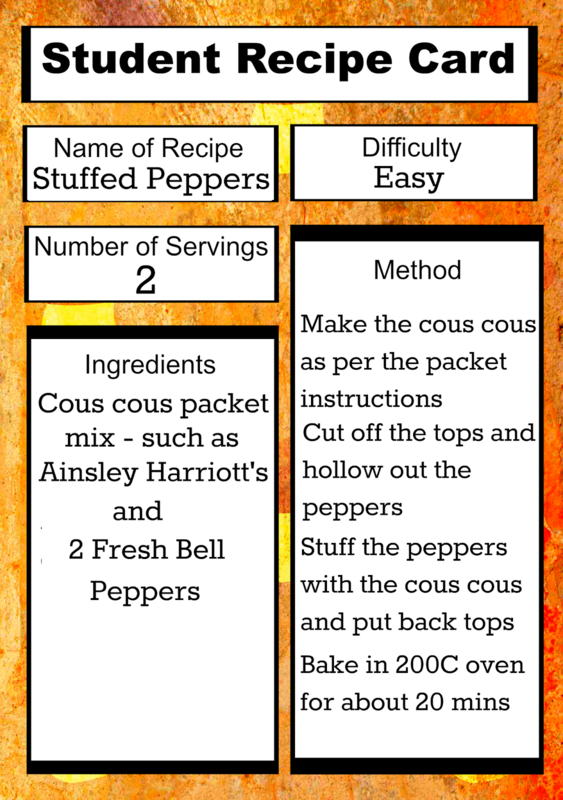 A really easy recipe - perfect for students if they aren't very experienced in the kitchen. I remember that stuffed peppers was one of the first recipes I tried as a student - if you don't count beans on toast.